A few years ago I bought tickets to see Coldplay. Hubby and I didn’t go in the end. Basically he doesn’t like them and he talked me out of the Sunday afternoon trek to Wembley. Maybe I had a hangover? For years I festered over this. Bumping into Chris Martin whilst volunteering at Crisis at Christmas didn’t placate me whatsoever. So in this, our year of music, I purchased two more tickets. And this time I opted to see them in Copenhagen. Not because I like Copenhagen, I’ve never been there, never even fancied it. 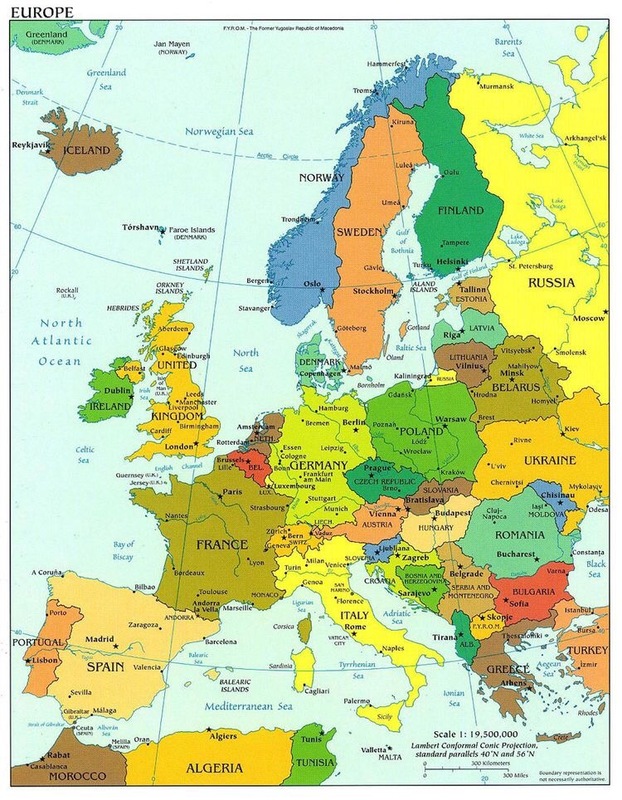 It was just a city on the list and I figured if we went to a city as far away as Copenhagen for the sole purpose of seeing them then he would have to go! Tickets purchased I began building the trip around that concert. We were seeing the band on the Wednesday night so I decided that we would fly out on the Monday morning and home on the Friday morning. I booked flights with Easyjet. We usually fly in the opposite direction (USA)so this was a new experience for me. I wanted to try and keep the costs down so this was a great option. I initially reserved a hotel room having reviewed and researched hotels using TripAdvisor. But as the time came closer and having heard more and more about Airbnb I decided to bite the bullet and sign up. 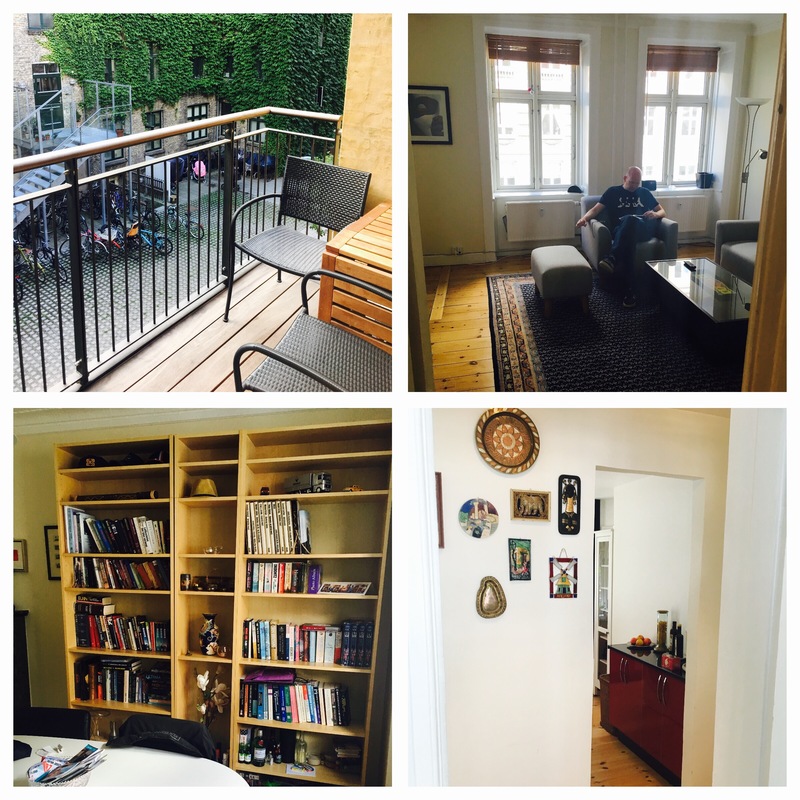 So I spent more hours researching potential accommodation and settled on an apartment in the city. As I had reserved the hotel room I was able to cancel it with no penalty. I like to think I am pretty well travelled but actually I am pretty well travelled in the USA. Other than that, not so much. So this was all very exciting. 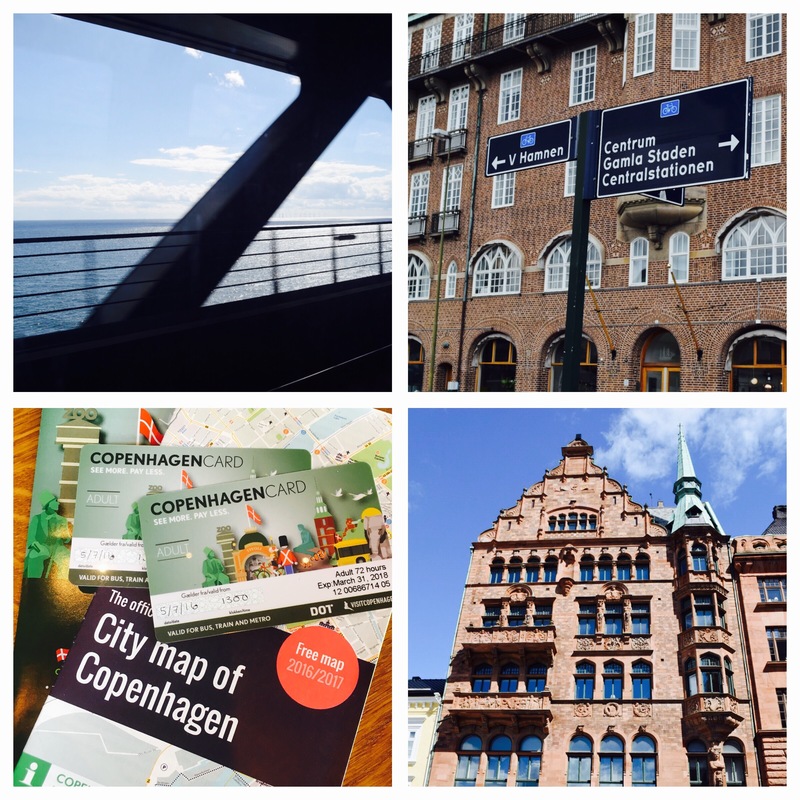 Monday – We flew to Copenhagen from London Gatwick. I immediately understood why Easyjet flights are as cheap as they are. The flight times are excruciatingly early! Somehow I had managed to book priority boarding and our seats (with extra legroom) were right by the door so we got on and sat down. The flight didn’t last long at all and having collected our hold bag we worked out how to get the train into the city. The journey was really cheap and straight-forward and we arrived at the Central Station around lunchtime. Whilst I utilised the free wifi to get my bearings we ate lunch in a Starbucks. I discovered that our Airbnb was literally across the road from the station. Weary from our early start we motivated ourselves with some unpacking and a cup of tea on the balcony. Our planning had included a loose schedule. I like to have an idea what we are going to be doing without being too strict with it. I wouldn’t want to get stressed about not doing something. We had decided that this afternoon we would take the time to travel to Malmo in Sweden on the train. Going over The Bridge. The Bridge between the cities of Copenhagen and Malmo, linking Denmark and Sweden, is central to the plot of a Scandinavian crime drama that we love. So seeing and travelling over The Bridge was a must for us. And it was actually really exciting. We bought out train tickets in a machine at the central station and got on the train back to the airport as it is from here that you get on a train to Sweden. I had bought M&M’s and water at the Central Station for the journey. It took about an hour all told, there was a long stop at the first station in Sweden for a customs check (you have to take your passport with you obviously). When we arrived in the city we had a walk around the very pretty city and then hopped back on the train home. It became clear to me that afternoon that eating out in Copenhagen is expensive. The travelling seemed like good value but the M&M’s and water had cost me the best part of £10 and I was on a budget! So when we got back to the apartment I googled supermarkets and found one close by. We walked over there and sorted out some meals for the week. There are rules in Denmark about the size of shops apparently so there aren’t the monster supermarkets that we are used to. I can highly highly recommend the rye bread which we had each morning for breakfast with scrambled eggs. We had chicken pesto pasta for tea and all was well in the world. 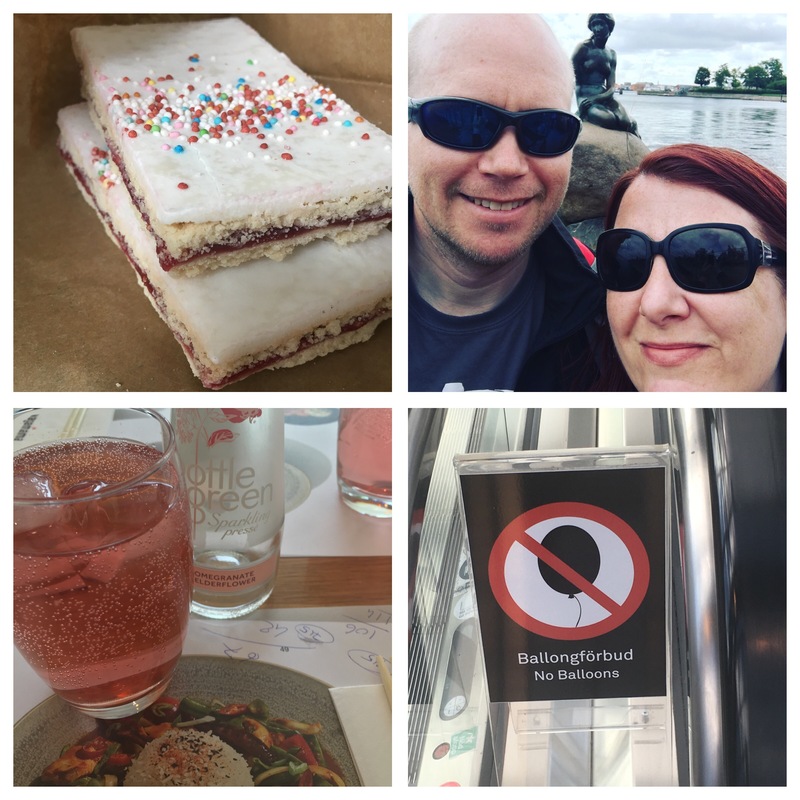 Tuesday – We picked up our pre-ordered Copenhagen Card from the Tourist Information Office and got straight on the metro to The Aquarium which was on our list of places to visit. The entrance fee to this and many other museums is covered by purchasing the Copenhagen card, as are virtually all public transport costs (not going to Sweden – thus we went before we got the card). The Aquarium has some great displays about oceans and their inhabitants. 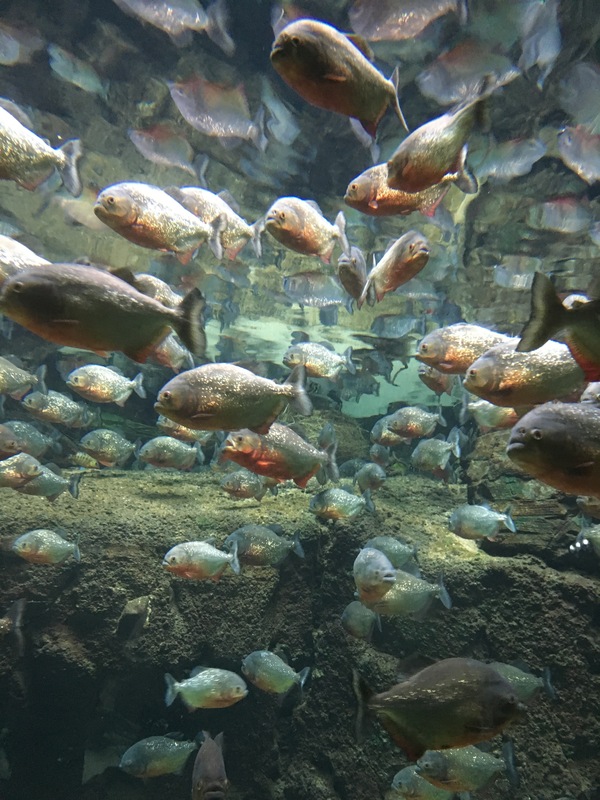 We were entranced by the piranha’s who look dull from above but bling when viewed from underwater. We ate lunch there on the terrace overlooking the water and the flight path to the airport. During the afternoon we returned to the city and walked around the National Museum and the Botanical Gardens both of which were fascinating. I’ve never really been that interested in plants but had just read The Signature of All Things by Elizabeth Gilbert (the author of Eat, Love, Pray) and was suddenly fascinated by all things horticultural! 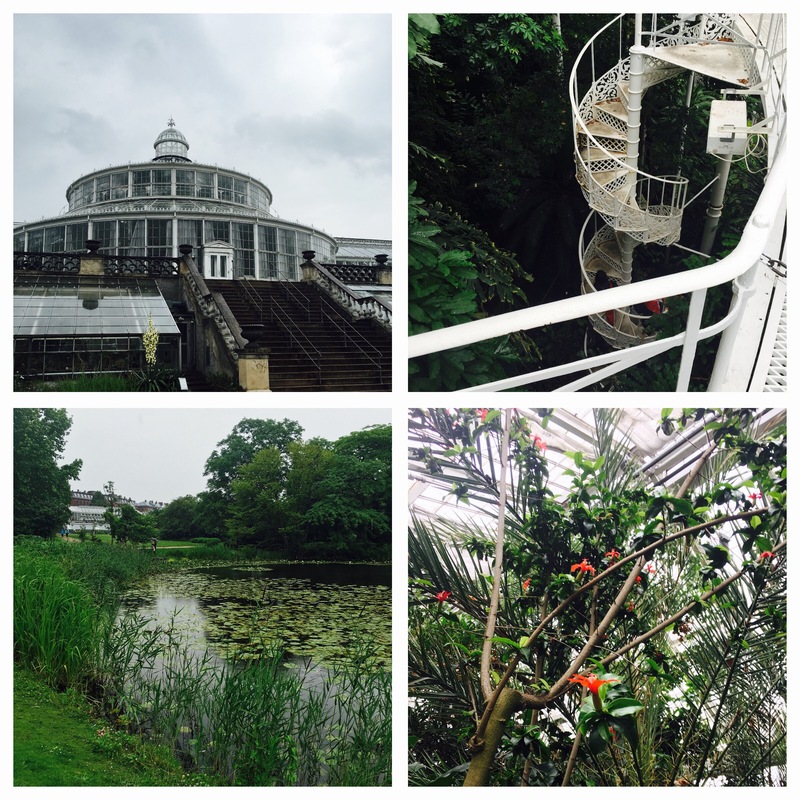 The gardens and the palm house were a highlight for both of us and made us realise that you should try and do something different when you can, you never know you might enjoy it! 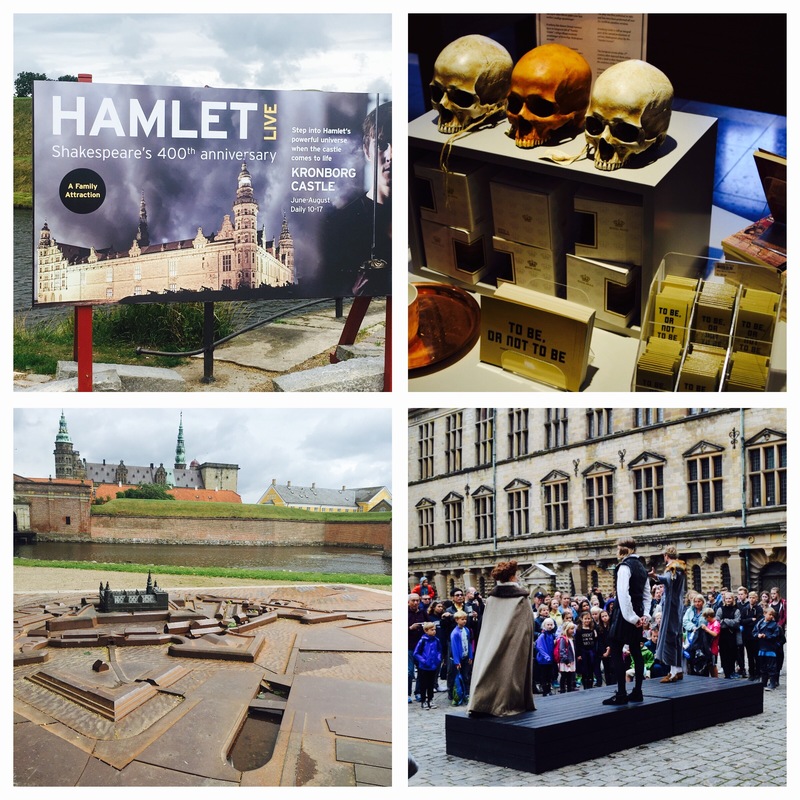 Wednesday – We travelled North on the train to visit Hamlet’s Castle. Our Copenhagen Card covered both the train fare and the entrance fee. The castle was huge and there was lots to see and read. There is always an English translation so it is easy to get about and learn about things. Once we had explored everything including the extremely old chapel and the roof, reached by a lung busting set of steps, we headed into the little town to find lunch. Won over by the promise of free wifi we settled for some local fare and watched the world go by. This is a quaint town filled with tourists but there just wasn’t time to stop sadly. Coldplay beckoned! Using the great and mighty Google I had found a bus that went from the Central Station right to the stadium. We didn’t need to look too hard for it as the queue gave it away! We were amazed that the bus stop was literally between our little apartment and the entrance to the railway station. I could not have found a better airbnb I don’t think! Have you seen Coldplay? You know this was my first time. I have seen quite a lot of live acts in my years and I have to say that they are amongst the best. They put on quite a show. We were all given armbands on the way in. Once the show started these started flashing different colours along with the music. Quite a spectacle! Chris Martin has an astounding amount of energy and it made me tired just watching him! He was running here and there, jumping up and down and singing flawlessly! There wasn’t a song we didn’t know though we are not the greatest Coldplay fans. A real must see for anyone that likes music I would say. 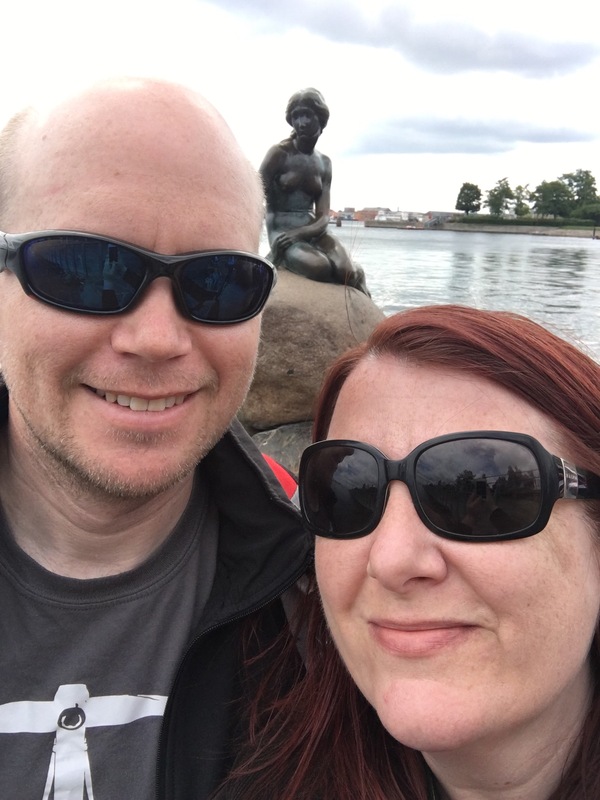 Thursday – We reviewed the list of things we had wanted to see and decided that we did not want to leave without visiting The Little Mermaid. 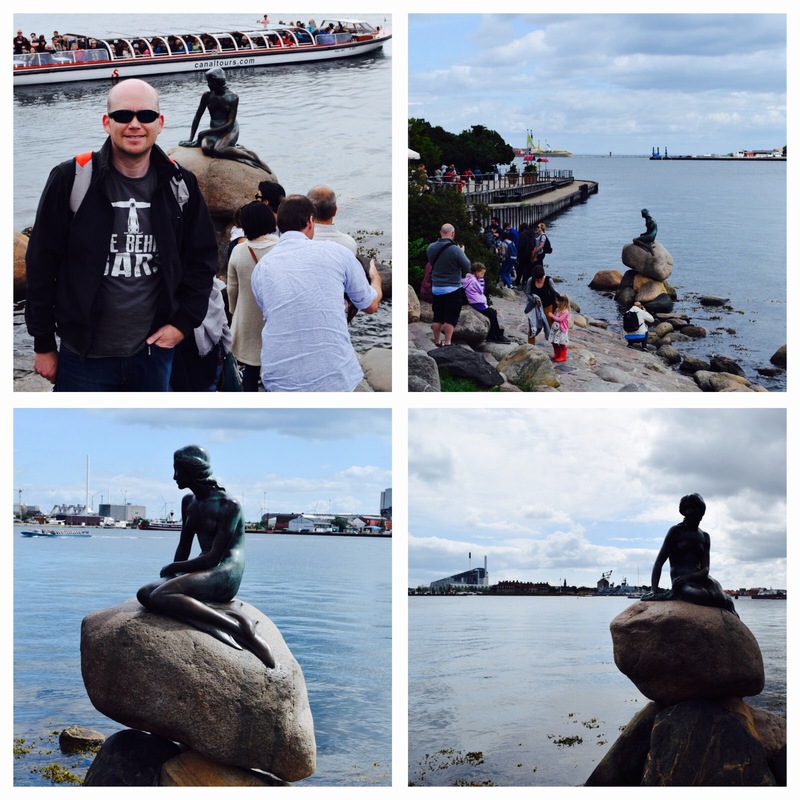 This bronze sculpture in the harbour is an icon of Denmark and representative of Hans Christian Andersen’s fairy tale. She is a huge draw to tourists! We got the train up and had a lovely 15 minute walk to find her. I was shocked by how busy it was there. Coach loads of people had descended on her. It was quite difficult to get a good photo but I was patient and was pleased with the results. Whilst we stood there boat trips passed her by and more people turned up. She is one popular lady! We continued walking on past her and found an amazing church, fountain and park. We had a peaceful hour away from it all. All those poor tourists that had 10 minutes before getting back on the bus missed out on a treat! 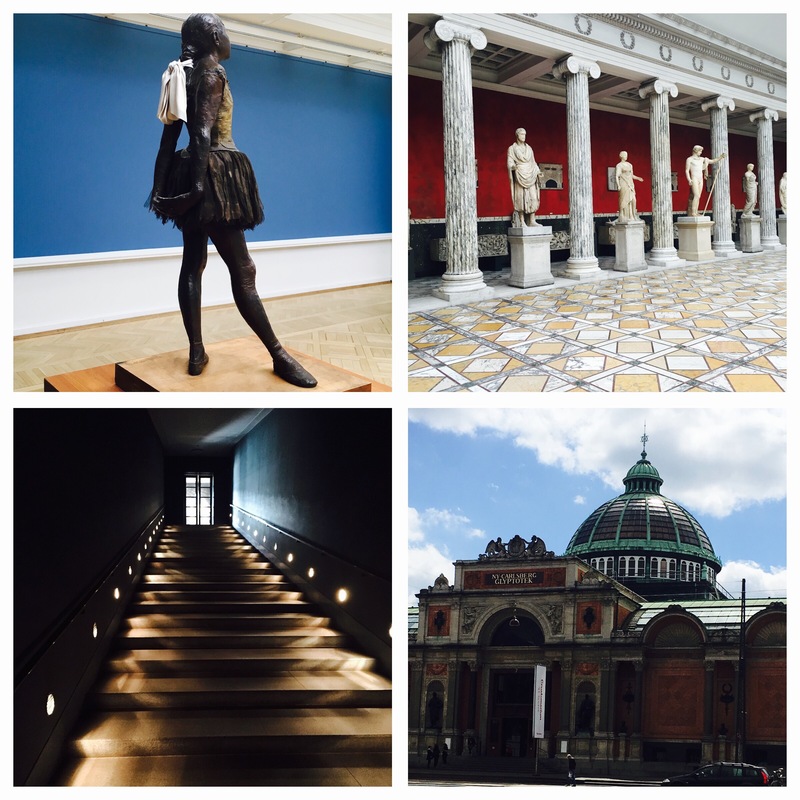 During the afternoon we visited the most wonderful museum and I am now a firm fan of it, The Glyptoteket. Wow! Monet, Degas, Rodin, a fine Egyptian section, a spectacular exhibition about burial traditions. I was stunned by the presentation of the Egyptian sarcophagus. The room was entered through a long sloping corridor and was positively reminiscent of going into the tombs in The Valley of the Kings in Egypt. I am sure that this is deliberate and I found it impactive and also very respectful, ultimately you’re looking at people’s tombs. In the Egyptian museum in Luxor you are not allowed to take photos of the bodies for this reason. I am always surprised when other museums don’t follow that guidance. It seems more respectful. But nevertheless I felt that an effort had been made here, a huge effort, to offer the same conditions to these souls that they had been torn from for our education. We always walk a lot when we go away and though I always promise to get in training I always end up with sore hips! We were averaging about 20,000 steps a day which is far in excess of what I’m used to sadly. So by this point, the afternoon of day four. I was on my knees. Which were also sore. I saw a sign indicating that the Degas bronze exhibition was upstairs. I nearly didn’t / couldn’t go! But it would mean missing out on a Degas ballerina and I am a lover of a Degas ballerina. Once we finally got home I put my poor legs up and had a cup of tea and a pastry. Another fine and much loved Danish tradition! 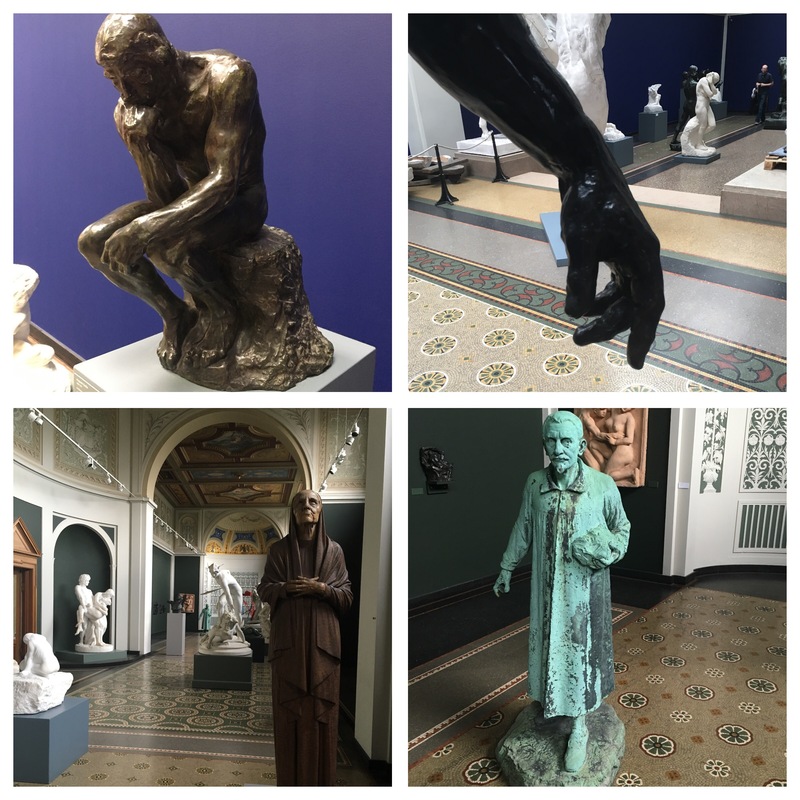 Friday – With one morning left we revisited The Glyptoeket for a cup of tea and another mooch. I would gladly live in Copenhagen just for this museum I think. 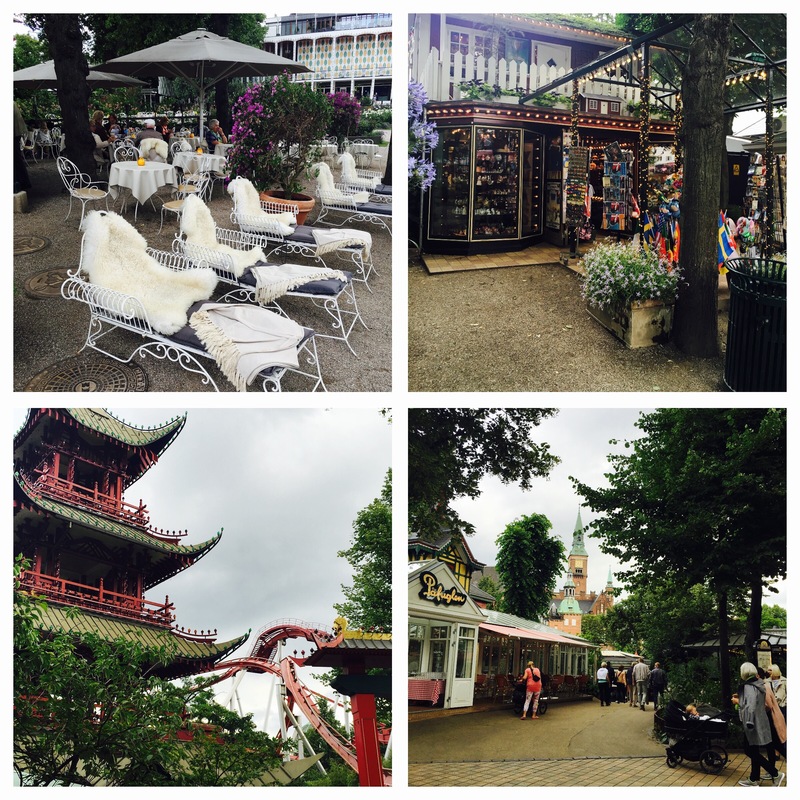 Our final port of call was Tivoli Gardens. This is one of the oldest theme parks in Europe and whilst I am not a big ride fan I did want to see the gardens themselves. The park is right in the city and next to the Central Station. Our Copenhagen Card covered our entrance though not any rides. We had a walk around and sat watching some of the madness. Screams and laughter all in one breath at times I think. A fun way to end the week. 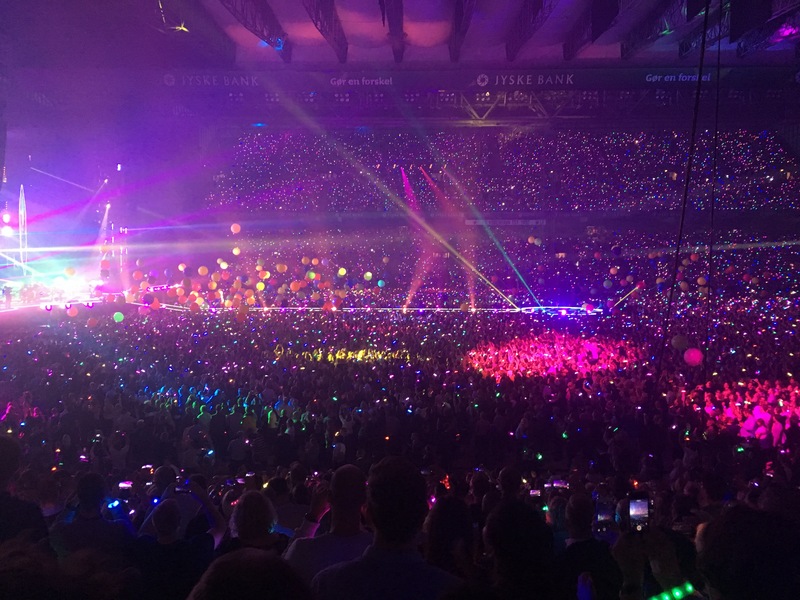 So for a city I had never been to, never fancied going to and only went to to get the hubby into a Coldplay concert I have to say it completely won our hearts. 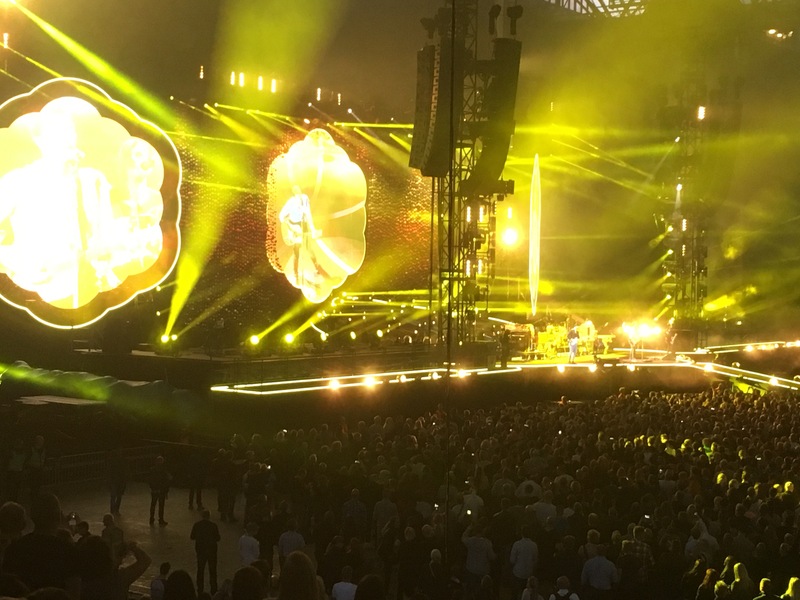 Coldplay were brilliant but they aren’t top of the list of what was fantastic during our week away. 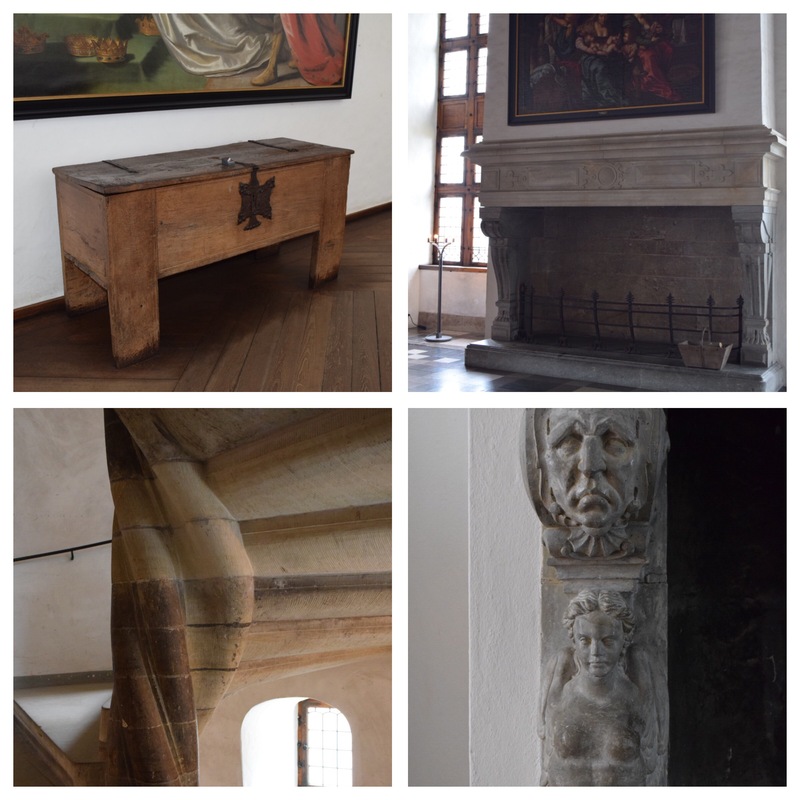 We had a wonderful time exploring, found a new favourite museum, loved the pastries and can promise you this, we will be back! This is a cosmopolitan city without the massive tourist pull that London and Paris have and whilst both those cities are favourites it is nice to find another city that is just a little quieter. Really easy to get to – our Easyjet flights costs about £100 each. There seemed to be plenty of hotels to choose from but I am really pleased with our first experience of Airbnb and would definitely want to stay in our sweet little apartment again. It just made the week perfect for us. We visited in July 2016.